We’ve found great deals at 2780 hotels! Tucked within the fashionable Jungceylon shopping center – Phuket’s trendy shopping hub – this five star hotel is a true urban resort. Here, a modern and contemporary design sets the mood for guests within the immediate vicinity of Patong Beach and the island’s wealth of shops, restaurants and entertainment. Located in two wings, Lakeside and Beachside, guestrooms are designed to exude a resort-like ambience, the feel extending to each wing’s dining outlets. Each also houses a well-equipped spa, ballroom, function rooms and two swimming pools. 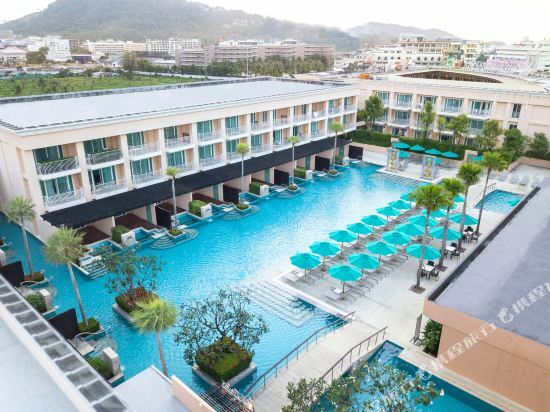 Both wings of the Millennium Resort Patong Phuket are physically connected to the Jungceylon shopping center, a huge shopping paradise with more than 200 shops. Existing partners include Carrefour, Robinson Department Store, SFX Cineplex and SF Bowling. 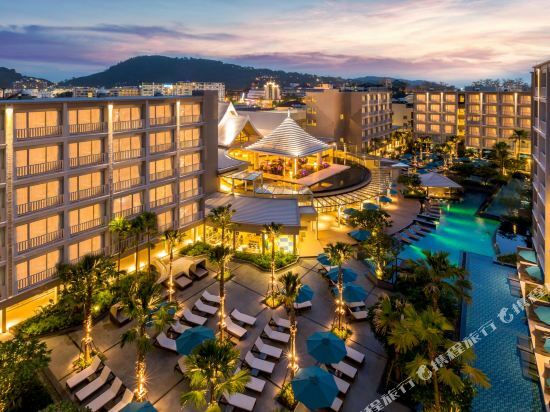 Hilton Phuket Arcadia Resort & Spa is an idyllic 75-acre resort in Phuket, next to Karon Beach and 45 minutes from Phuket International Airport. Set in lush, tropical gardens surrounded by mountains, waterfalls and golden sandy beaches, this Phuket resort has the largest number of rooms in Southern Thailand. Wake up in a bright and airy guest room, decorated in Thai colors, and enjoy a refreshing drink on the balcony overlooking tropical greenery or the Andaman Sea. All guest rooms at this beautiful Phuket resort offer WiFi (fees apply) and separate seating areas and desks. Choose a suite for extra space. A babysitting service, accessible rooms and 24-hour room service are available. Dine in style at this Phuket hotel, boasting a choice of eight restaurants and bars. Enjoy nightly themed buffets at the Sails restaurant or snacks at Caffe Cino, overlooking the garden pool. Celebrate your wedding at this exotic Phuket resort with excellent event space, including the Grand Ballroom and nine meeting rooms for 5-1,200. Hold your party in the resort grounds or under a marquee for 350-400 guests. Enjoy exceptional recreational facilities including 24-hour fitness center, 15 spa treatment rooms, five outdoor swimming pools, three tennis courts, sauna, steam room and whirlpool. Ask about a free introductory scuba diving course, play water volleyball, or indulge in a Thai massage in the spa. 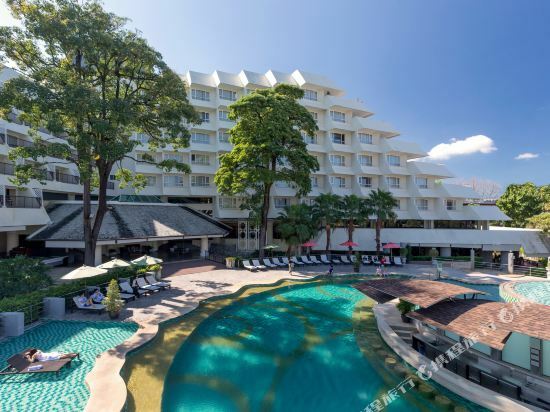 Sea Sun Sand Resort & Spa Phuket is ideally located at the beautiful Patong beach, offering convenient access just minutes’ walk to the beach, nearby banks, restaurants and grocery shops. 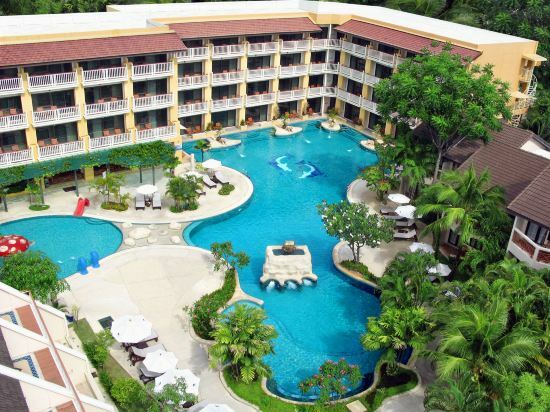 Sea Sun Sand Resort & Spa Phuket has outdoor pools, 3 dining options and a shopping arcade. The rooms feature a private balcony and a flat-screen TV with movie and music channels. Private bathrooms include bathtub and shower facilities and a hairdryer. Coffee & tea-making facilities, a personal safe and a minibar are also included. You can take a dip in the hot tub, or exercise in the gym. Alternatively, they can head to the game room, or have a quiet read. Travel arrangements can be made at the tour desk. Sea Sun Sand’s main restaurant serves Oriental and Western dishes, while Hot & Spicy restaurant offers authentic Thai cuisine for lunch and dinner. The Sunset bar features a range of refreshing drinks and light snacks. Sea Sun Sand Resort & Spa provides a free shuttle to Jungceylon Shopping Center, 3 times daily. Thara Patong Beach Resort and Spa is one of the best-known family-oriented beach resorts in Phuket. Relax in rustic surroundings with modern facilities nestled among expansive tropical gardens, where you can chill out at one of the two large swimming pools with lots of fun features for the kids as well as the poolside bars open all day until late. Whether you’re coming to Phuket on a honeymoon, on business or for a family vacation, this property features a wide range of seven different room types come with a private balcony for you to choose from as well as excellent facilities, including a traditional Thai-style spa, 2 outdoor swimming pools, a fitness centre, 2 restaurants and conference room. Free WiFi is available throughout the resort. This property is 3 minutes walk from the beach. Just a 10-minute walk from Jungceylon Shopping Centre and nightlife area Bangla Road. Phuket Town is a 25-minute drive away. 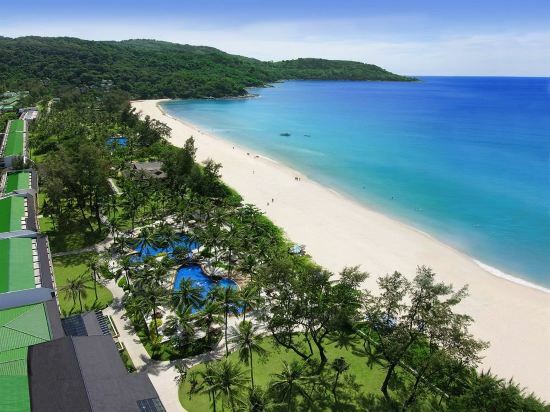 The Le Meridien Phuket Beach Resort is located on Phuket's southwestern coast along its own exclusive beach, amid 40 acres of tropical greenery. The resort is just a five-minute drive from Patong and about one hour from Phuket International Airport. Le Meridien Phuket provides luxury guestrooms and suites with rich traditional Thai interiors and private balconies for panoramic views over the beach. This Phuket resort features a wide range of culinary options (Japanese, Italian, Asian and seafood), with ten world-class restaurants and bars delivering unique, relaxing dining experiences. This Phuket property features six meeting rooms, two lagoon-sized swimming pools, four tennis courts, a pair of air-conditioned squash courts, a world-class spa, a variety of sports facilities, a discovery center for kids and the historic Margaret Lee cruiser offering guests opportunities to embark on unique cruise adventures. Just a 10 minute walk from Bangla Road in Patong, Andaman Embrace Patong Phuket offers luxurious rooms and cottages in tropical greenery. It features a beautifully designed outdoor pool with plenty of poolside lounge areas. Andaman Embrace Patong Phuket is a 30 minute drive from Old Phuket Town, and a 40 minute drive from Phuket International Airport. Featuring Sino-Portuguese architecture, the resort offers a library, and a fitness center. Guests can have a massage at the spa while children enjoy the Kid’s Club. The lovely rooms come with a TV, a safe, and tea/coffee-making facilities. Each room has a private bathroom with a hairdryer and shower, and some also offer a bathtub. Open for all-day dining, Twig Restaurant serves local and international dishes. Snacks and refreshments are available at the lobby lounge and the pool bar. Front desk and room service, as well as currency exchange, are all available 24 hours. The resort also has a tour desk and a business center. There are many popular tourist destinations along the coast of the Andaman Sea in southern Thailand, including Phuket Province, Krabi Province, Phang Nga Province, Trang Province, and Satun Province. Among these places, Phuket, most well-developed island, and Koh Lipe are known as some of the most beautiful islands in Thailand. Phuket is home to sandy beaches of several different styles and a quaint, quiet town. Entertainment activities, cabaret shows, elephant rides, and nightlife are the highlights of the island. From Phuket, the surrounding islands and the famous scenic spots of Phang Nga, Phuket's Emperor Island, the Coral Islands, Phang Nga Bay and Smilan Island can all be easily reached. When compared to Phuket, there are fewer tourists in Krabi. The towns of Krabi and Ao Nang Town both have delicious food and entertainment. The Phi Phi Islands, a favorite snorkeling destination for the Chinese people, are located in Krabi province and are also easily accessible from Phuket. The islands of Koh Lanta and Hong Island are the main places for snorkeling for visitors who are in Krabi. If you want to avoid visitors to the newly developed islands, Trang, to the south of Krabi, has many hidden islands as well. Koh Lipe, which is located in the south of Thailand and near the Malaysian border, is also a good choice. There, the beach has white sands and beautiful blue waters. It’s both suitable for snorkeling and inexpensive. People who visit generally spend around 5 days in Phuket; 2 days can be spent on the island itself, and the remaining 3 days can be spent on the outlying islands, which are recommended especially to those who are looking to relax. If you prefer peaceful and quiet vacations, Krabi and Koh Lipe are also good places to consider. Phuket is best known for its beaches and varied nightlife. The main attractions include the lively Patong Beach, as well as Hat Kata and Karon Beach. Nightlife here is dominated by lady boy shows, dance performances, and the bar street along the beach. Ko Phi Phi Don, famous due to the film The Beach, is the most famous island on the coast of the Andaman. There are a variety of hotels on the island, also various water activities including diving, canoeing and cliff diving. The bar also features rich nightlife. Ko Phi Phi Don is also the starting place for day trips to Phi Phi Islands and other nearby islands. Emperor Island is a newly developed island in Phuket with a notably beautiful environment. The sea and the beach are relatively untouched and suitable for snorkeling and deep sea diving. There are only a few high-end hotels on the island. The island is a good place to escape the huge crowds of tourists and enjoy diving to the greatest extent. Phuket is located in the Andaman Sea and is divided into the summer (November-April) and rainy (May-October) seasons. The hot and dry summer is suitable for island trips. From December to January is the holiday season and Phuket's peak tourism season. During this time, prices for all sorts of commodities soar. If visiting during the holidays, it’s necessary to book Phuket hotels and transportation in advance. The huge waves and strong winds brought by the monsoons in the rainy season have the potential to make swimming in the sea dangerous and some attractions may even be closed. Phuket has a relatively high temperature throughout the year, and it’s even higher during the period from November to April. The daytime temperature is basically around 37 degrees. In addition to summer clothes such as short sleeves and shorts, you might want to also consider bringing a thin coat to protect yourself from the sun and cold in air-conditioned places. Phuket has a fascinating tropical landscape and tons of options for tourists. An interesting fact is that it’s also known the pearl of the Andaman Sea. There are a wide range of options for hotels in Phuket ranging from low-cost hostels to luxury resorts with private beaches. Among Phuket's three most famous beaches, Patong Beach is an area which features entertainment, shopping and dining, making it the first choice of many. Karon Beach in the immediate vicinity and Hat Kata in the south are quieter and have many high-end hotels. There are several small beaches in the northwest of Phuket, making it an ideal location for tourists who favor quiet island-style resorts or luxury hotels with detached villas. The city of Phuket is an excellent place to experience the local style and many budget hotels in Phuket are located there. 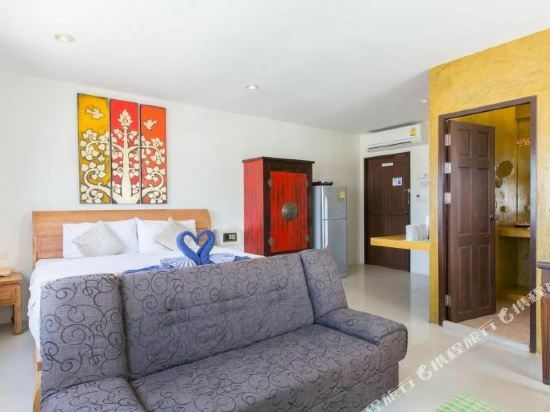 Phuket hotel information & deal: Check out room rates, photos, a map and reviews of hotels in Phuket and find the best deals on Phuket hotels. Trip.com offers big savings on online reservations for Phuket accommodation. Book Phuket vacation packages and Phuket tours with huge discounts on Trip.com!